It’s more than a movie…it’s now a ride! 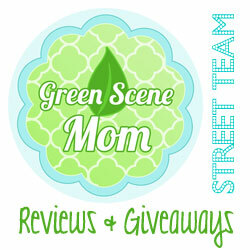 You are here: Home / SoCal City Kids News / Announcements / It’s more than a movie…it’s now a ride! Michelle Rodriguez, Tyrese Gibson and Luke Evans. New Grand Finale of Theme Park’s World Famous Studio Tour. Universal Studios HollywoodSM shifts into high gear for the June 25 opening of“Fast & Furious—Supercharged” with the launch of “Road to Fast,” a dynamic campaign featuring a series of original images and an engrossing behind-the-scenes video, including interviews with the cast of its new thrill ride: Vin Diesel, Dwayne Johnson, Michelle Rodriguez, Tyrese Gibson and Luke Evans. A collection of six images, each featuring the stars of the ride depicted in a variety of action sequences, will be unveiled sequentially beginning today with a group shot of the characters racing alongside a Studio Tour tram. A lengthier, more complex look at the making-of this revolutionary new attraction, featuring insightful perspective and commentary from the cast and producers, is also being released, and can be seen here. “You’re completely immersed in the experience…you’re on a high-speed chase…it’s an amazing experience, and the guys that build these are true magicians,” said Luke Evans. 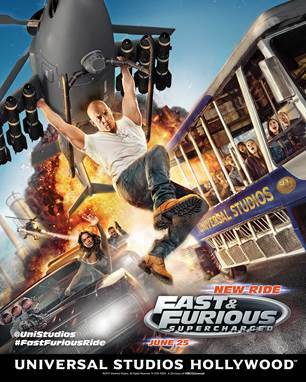 Coupled with an intense blend of visceral effects, “Fast & Furious—Supercharged” will take guests on a wild ride that begins the moment they board the Studio Tour. Exclusive interstitial content—that was filmed with the cast members—will be featured on the tram monitors, highlighting interactions as they engage guests en route to the ride’s climatic scenes. Along the tram route sightings of numerous prop cars from the Fast & Furious series, including Dom’s Dodge Charger, will enhance the story. Universal Studios Hollywood, The Entertainment Capital of L.A.SM, includes a full-day, movie-based theme park and Studio Tour; the CityWalk entertainment, shopping and dining complex, the Universal CityWalk Cinemas and the “5 Towers” state-of-the-art outdoor concert venue. World-class rides and attractions include “Despicable Me Minion Mayhem” and “Super Silly Fun Land,” the critically-acclaimed mega-attraction, “Transformers™: The Ride-3D,” the intense, award-winning ride, “King Kong 360 3-D” on the behind-the-scenes Studio Tour, “Revenge of the MummySM—The Ride” and “Jurassic Park® —The Ride.” As part of its milestone 50th anniversary celebration in 2015, new attractions include the electrifying 3D-HD thrill ride, “Fast & Furious—Supercharged” as the grand finale to the famed Studio Tour, “Springfield,” hometown of America’s favorite TV family, adjacent to the award-winning “The Simpsons RideTM” and the “Nighttime Studio Tour,” offering tours of the iconic movie backlot on select evenings.